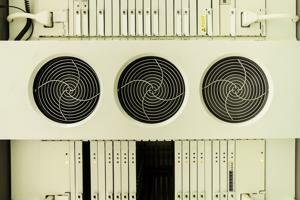 According to new industry research, the precision air conditioning market in the data center sector is poised for considerable growth in the upcoming years. TechNavio analysts released a report studying the key data center air conditioning vendors, which revealed the market is set to grow at a compound annual growth rate of 10.59 percent until 2016. The report stated that a number of factors are driving expansion, including increasing focus on data center heat density and the evolution of spot cooling mechanisms. In addition, a rising number of data center facilities are implementing temperature monitoring in their structures during air condition system updates. As establishments improve their cooling arrangements, operators realize the vast benefits of server room temperature monitoring. Such technology can allow data centers to use less power for their air conditioning units, as the system provides opportunities to operate facilities at higher temperatures while ensuring that IT equipment is not overheated. Furthermore, operators can utilize high temperature monitors to alert key employees in the event that air conditioning units fail. If the data center temperature reaches a certain level, the alarm sends a notification, allowing workers to respond quickly and prevent overheats that can cause facility downtime. This isn't the only section of the data center industry in which experts predict significant growth. As customers demand more services supported by these facilities, and vendors respond to these rising needs, the market will feel the effects. A main sector of targeted growth is within the data center security market. According to another new report by TechNavio, the security sector is predicted to grow at a CAGR of 8.23 percent from 2014 until 2018. One factor creating this expanding environment is increasing demands for disaster recovery services supported by the data center sector. Customers seek solutions for data backup and business continuity, leading to growth in this area. In order to provide the necessary resources, data center operators must ensure that their systems are as impervious as possible to cyberattackers and other threats outside the network like natural disasters. Furthermore, due in part to raising demands for information protection, experts expect growth within the data center networking market. Heightened demand for hardware like Ethernet switches, SAN components and physical site security are also causing this sector expansion. According to Network Computing, the current networking market is a $12.49 billion sector, but will grow to reach $21.85 billion by 2018 at a CAGR of 11.8 percent. Data center facilities rely on these hardware items more as customers increasingly seek virtualized technology. "The adoption of high-performance virtual switches is critical to support increasing number of virtual machines used in multi-tenant data centers," said MarketsandMarkets analyst Neha Sinha. Bringing this overall data center market growth full circle, as facilities continually add servers and other hardware components to their arrangements, there is increased need for air conditioning units to cool these systems and temperature monitoring to ensure they function optimally. As customers demand more from service providers' data centers, facilities will need more IT equipment and additional technologies including server surveillance and temperature sensors for industry-best server uptime.